Shin Joong Hyun. Courtesy of the artist. 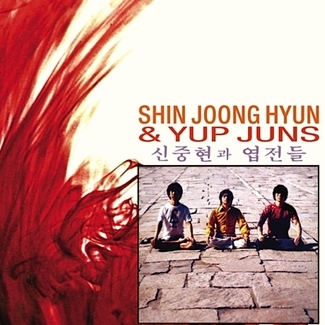 Shin Joong Hyun’s tale is personal, spiritual, and deep, not only reflecting the full spectrum of human emotions, but one that produced reverberating echoes of sound, some beautiful and life-giving, others restless and ungovernable. Inspired by jazz, soul, and traditional Korean music, Shin started his career in the mid-1950’s, performing for US troops stationed locally after the Korean War armistice of 1953. 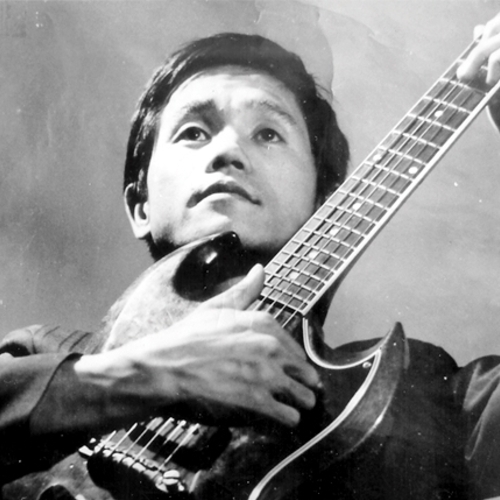 While his English language skills were limited, the young player had no trouble communicating through his trusty electric guitar, but Shin was no mere 6-string slinger for hire, he was able to communicate something far beyond your average professional musician. Production work and extensive songwriting followed, not to mention a steady stream of electrifying performances. Gaining momentum by the moment, Shin developed popular success across South Korea molding protégés like singing duo the Pearl Sisters and folk-psych songbird Kim Jung Mi into top pop stars. From there it was hit after hit. 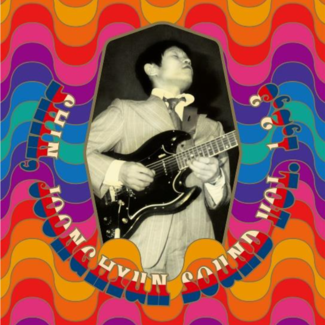 The late 1960’s rock explosion and an influx of imported music from The Beatles, Jimmy Smith, and The Jefferson Airplane all informed and inspired Mr. Shin to elevate his own craft. Even experimental trips via a crew of local hippies also took the music man to new heights despite Korean law forbidding such rebellion. Drug use was illegal and punishable as a serious offence. Park Chung-hee, then President of South Korea began to closely monitor Shin’s “subversive” activities. After refusing to write a song in praise of the political leader, the musician was labeled unpatriotic and his career was instantly snuffed-out through a series of surveillance, torture, and institutional confinement. 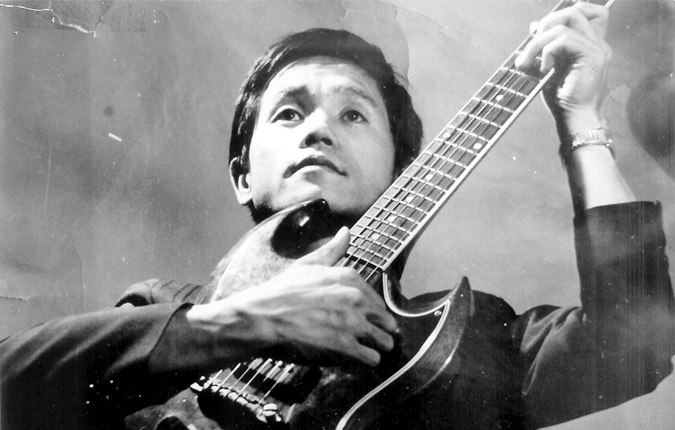 While this was not the end of Shin’s musical story, for an all-too-brief moment in Korean cultural history, Shin Joong Hyun and his talented accomplices laid down a trove of recordings that have slowly reverberated far from their native land. For the first time outside of Korea, Shin’s music will be readily available to music lovers the world over. 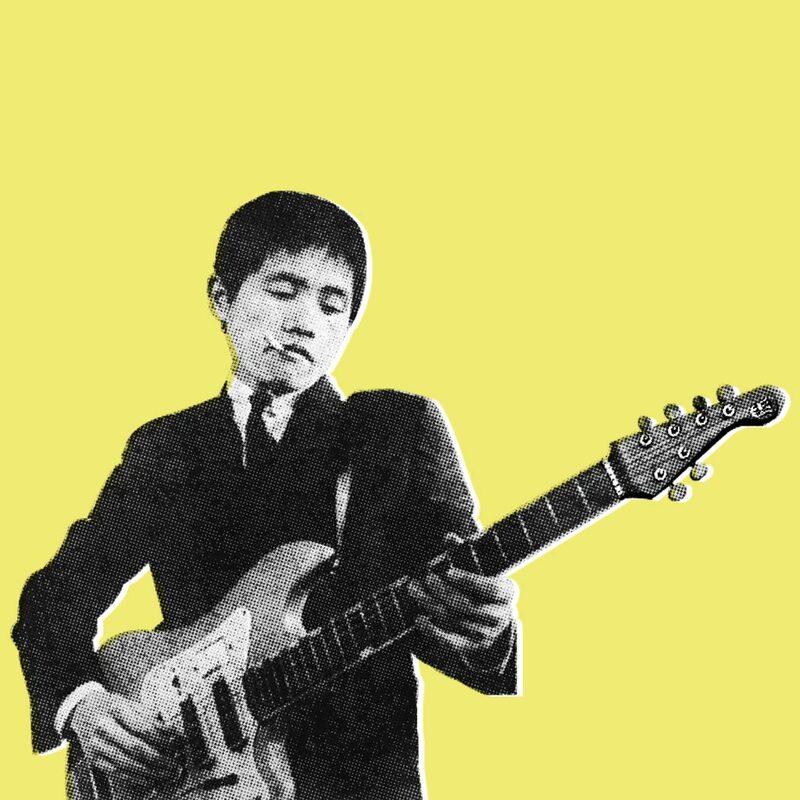 Light In The Attic are thrilled to release Beautiful Rivers And Mountains: The Psychedelic Rock Sound Of South Korea’s Shin Joong Hyun, a career spanning CD, 2xLP, and Digital Download compilation of the diminutive guitarist, songwriter, producer, arranger, and talent developer. Light In The Attic Limited Edition 10 Year Anniversary Shirts and Posters! Light In The Attic's 10 Year Anniversary Posters - From Inception to Conception! Free Basin Tuesdays - Win A Seat in Light In The Attic's Road Trip Van! 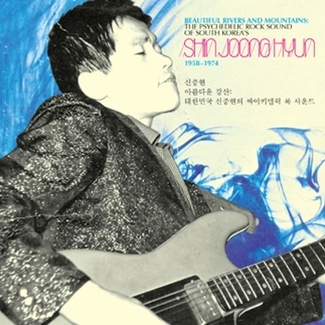 Shin Joong Hyun "Beautiful Rivers And Mountains: The Psychedelic Rock Sound Of South Korea's Shin Joong Hyun 1958-74" OUT NOW! Shin Joong Hyun - "Beautiful Rivers and Mountains" - Win an autographed photo! 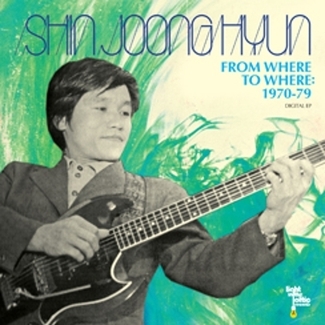 Shin Joong Hyun "Beautiful Rivers And Mountains" Anthology CD/LP "What's Inside" PREVIEW! CD/LP PRE-ORDER: "Beautiful Rivers And Mountains: The Psychedelic Rock Sound Of South Korea’s Shin Joong Hyun"
Light In The Attic Zine Issue 3 (Spring/Summer 2011) NOW AVAILABLE! Upcoming Light In The Attic "Zine 3" teaser!